To avert an impending life of servitude, Bethany Cook seeks freedom on a wagon train bound for gold country. 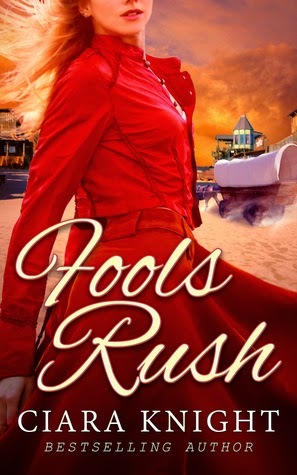 Disguised as a young boy she secures work as a travel companion with Thomas Nolan, a rich New Yorker who is on his own quest to distance himself from the nightmare of a fraudulent marriage. A cross-country journey by Thomas’ side proves more difficult than Bethany anticipated when he becomes obsessed with her true identity—the golden haired beauty he shared one night of passion with. Bethany attempts to confess the truth, but a bounty hunter exposes her as a devious woman that lied to Thomas for months for her own evil gain. Her life and her heart now rest in the hands of Thomas, who must decide if he can forgive and marry her or leave her to the fate she’s brought upon herself. Bethany’s head swarmed with images of a happy home, of confessing the truth and falling into his arms this night. “What is it? You can tell me anything. I promise. I’ll never hurt you. Trust me.” His words clutched her heart and squeezed tight. “You can’t make that promise,” Bethany said while trying to keep her wits. Everything rested on her making it to the gold and striking it rich. Not ending up in the arms of some man who had already proven he’d turn to the bottle when things got tough. She concentrated on steadying her breath and not thinking about the handsome man at her side in the darkness. He only spoke words. The first time things got tough he’d turn to a switch or his hand. That’s what all men did once they owned a woman. Surely not every man. The tingling in her stomach urged her to take a chance, to wrap her arms around him and confess who she really was. Why did this man cause her body to feel these things when no other man had in the past? She wanted to escape into the cold rain to cool her burning skin and rid it of all this desire, but she had to remain in the wagon by Thomas’ side all night. A long and torturous night. Ciara Knight writes to 'Defy the Dark' with her young adult speculative fiction and sweet romance books. 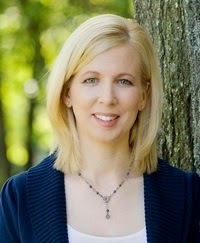 Her most recent international best-seller, Pendulum, scored 4 stars from RT Book Reviews, accolades from InD’Tale Magazine and Night Owl Top Pick. Her young adult paranormal series, Battle for Souls, received 5 stars from Paranormal Romance Guild and Night Owl’s Top Pick, among other praises. Her first love, besides her family, reading, and writing, is travel. She's backpacked through Europe, visited orphanages in China, and landed in a helicopter on a glacier in Alaska. 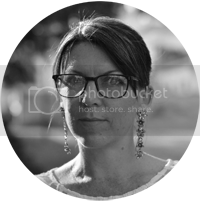 Ciara is extremely sociable and can be found at Facebook @ciaraknightwrites, Twitter @ciaratknight, Goodreads, Pinterest, and her website.